Discover Code Red continues its strong pedigree of techno releases with its 12th release - Werun. This time it is the turn of Casey Rasch who shows us his darker side with style. 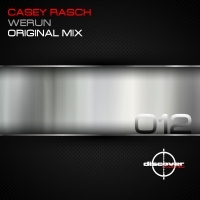 Refusing to be confined by genre, Casey puts his head down for this techno groove. Stark and beautiful in equal measures. 'Werun' is available now from Beatport and iTunes.